68014 passes Kings Sutton on 4 May 2016 with the 1U50 17:21 Marylebone to Banbury Chiltern Railways service. 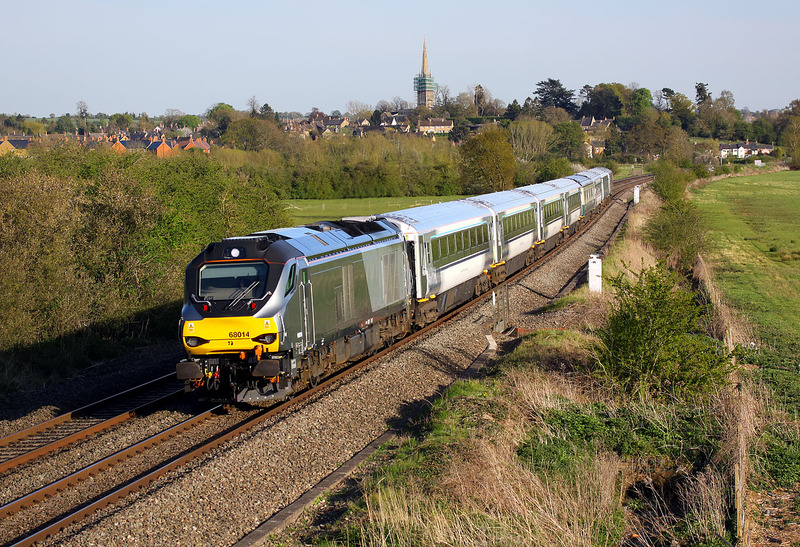 Not quite the entire rake of coaches has received Chiltern's new livery. The fifth coach is in the earlier blue and grey livery, while the seventh is in Arriva Trains Wales livery.